If you’re trying to go alkaline, you’ll need to know which foods help your body get to and stay in an alkaline state. There are five key alkaline minerals to focus on while trying to calm your pH levels: calcium, potassium, magnesium, iron and manganese. The general idea is to eat foods without worrying about an acidic effect, although some are more alkaline than others. It’s not necessary to eat only alkaline foods in order to get the body’s pH levels to be alkaline, and a certain percentage of foods can and should be acidic, but you should try to choose natural whole foods, like fruits, vegetables and whole grains. Should I Try The Alkaline Diet? The alkaline diet is one in a string of evidence-based and non-evidence-based diet fads. The idea is to replace acid-forming foods with alkaline foods to balance your body’s pH levels. Certain food components that can cause acidity in the body include refined sugars and processed grains. Alkaline components, on the other hand, include vitamins, minerals, fiber and antioxidants. The idea is to combine slightly acidic foods with alkaline foods to create a balanced pH level in your body. According to one study, the alkaline diet should be considered to reduce morbidity and the risk of chronic disease that is plaguing our aging population. In addition to decreasing your risk of serious diseases, an alkaline diet can help take care of some of the things that affect your health on a daily basis, such as headaches, fatigue, digestive problems, acne, and even bad breath. You’ll want to start by incorporating mostly fruits and vegetables into your diet and getting rid of soft drinks, refined sugar, and all processed foods. The nutrients in these alkaline foods will help get rid of inflammation and toxins that contribute to acidosis. What Should My pH Levels Be? This is an important foundation of the alkaline diet, and the ideas behind it. The pH value is a measure of how acidic or alkaline something is, and ranges from 0 to 14. Anything ranging from 0 to 7 is considered acidic, 7 is neutral, and 7 to 14 is alkaline, or basic. However, the pH value in people’s bodies varies greatly throughout. Some parts are alkaline and other parts are acidic. The stomach, for example, has hydrochloric acid in it, making it highly acidic, but this is an important digestive necessity in order to break down food. Blood, however, is always slightly alkaline, and it is extremely serious and sometimes fatal if it becomes acidic. This is why it’s important to eat foods that support an alkaline environment in the body. If you feel that you have an unbalanced diet and eat too many acidic forming foods, like processed meat, conventional dairy, refined sugar, prescription medications and alcohol, and not enough alkaline foods, like fruits and vegetables, then take a look at this list and see if you can increase your alkaline intake. These tasty nuts consistently rank on the list of healthiest foods to eat, and they’re also an alkaline food. 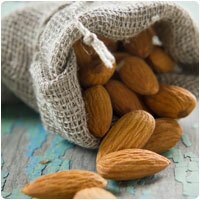 Almonds have been linked to better brain health, lower cholesterol levels, and enhanced fat loss. You don’t have to eat a lot of almonds in order to enjoy their benefits, but they do make a great snack that you can take anywhere, making them a great option for in between meals. This is a grain that not many people are familiar with. It makes a great addition to any alkaline-focused diet plan. In addition to being an alkaline forming food, it is also known for its relatively high levels of protein for a grain, and it is full of vitamins and minerals that are essential for overall health. If you’re not sure how to prepare it for you and your family, there are plenty of recipes available to bring you up to speed. Artichokes are often seen on top of salads, or blended up in dips, but there are a number of reasons to make them more of a feature food in your diet. One of those reasons is their alkalinity, which helps raise your body’s pH levels. 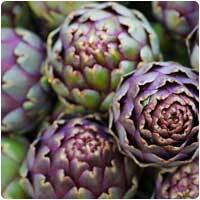 Artichokes are full of antioxidants, and help purify the liver, aiding digestion. So, a salad with leafy greens and topped with a hearty amount of artichokes is a great idea. Here’s a leafy green that’s really worth getting to know. Arugula is often used as part of a detox diet plan, and the fact that it’s an alkaline food is a big part of that. 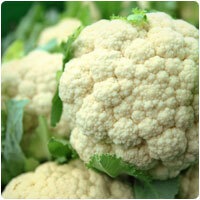 This ultra-healthy vegetable is full of vitamin A and has an impressive amount of calcium. We usually associate dairy products with calcium, but this is a great alternative source to make sure you’re getting enough. Sticking with the super beneficial greens – asparagus has an alkaline effect on the body, and it just so happens that it’s one of the strongest foods you can eat in terms of alkalinity. 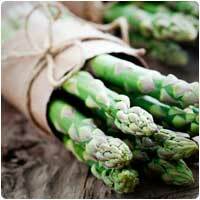 Each food is ranked according to how alkaline it is, and asparagus is one of the “big dogs” in that chart. But it brings a lot more than that to the table, including antioxidants, nutrients, and plenty of detoxifying components. Asparagus has even been found to have anti-aging benefits, which should be enough for most people to start adding more of it to their meals! It’s no surprise that avocado is on our list of alkaline foods. This creamy green fruit manages to make it onto any list of superfoods, so you know it’s packing a nutritional punch. Avocados are high in potassium as well as healthy fat, and in addition to helping you be more alkaline, you’re getting other perks as well. You can also use avocado oil in favor of other oils that don’t provide any alkaline benefit, or worse, are acid-forming in the body. You might not have thought that the herbs and spices you use on your food have an effect on how alkaline or acidic your pH levels are. But as it turns out there are good spices and bad spices. Basil happens to be one of the ones that helps keep you alkaline, and it also has plenty of other impressive nutritional value, such as the flavonoids it contains. 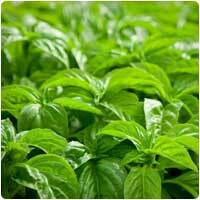 These help the body to heal and basil in general can help with several different areas of the body. Beetroot gets more attention now than ever before, and it’s one of the foods out there that will act to help raise your pH levels. The reason it’s an important vegetable to include in your diet is because it is one of the only source of the phytonutrient betalain, which has anti-inflammatory properties. You can have beetroot as a side, use them as a salad topper, put them in smoothies, or even bake brownies with them! 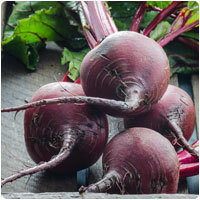 Be sure to buy beets fresh and steam them, because the pickled variety has reduced nutritional value. This is a quintessential healthy food that is, unsurprisingly, a healthy alkaline food. Broccoli is one of those vegetables that has so much nutritional value and so many benefits that it is a must-add to your diet. Luckily, we have known for a long time how great broccoli is for our health, so it has been a staple on Western plates for generations. It’s a quick easy option to steam or stir fry as one of your veg sides at any meal during the week. Maybe you left your Brussels sprouts on your plate untouched as a child, but it’s time to get over that and learn to like these healthy vegetables. Pinch your nose and go for it! Brussel sprouts have been shown to be able to help the body break down the acids caused by acid-forming foods, which boosts your pH levels and helps you reach, or maintain, a healthy alkaline state. In addition to that, they’re also packed with vitamins, minerals, and fiber, so they make a great side dish to any meal. It’s best to buy fresh and steam them. 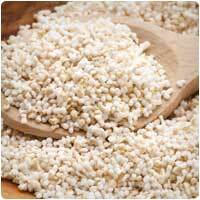 Buckwheat gets mentioned a lot in health food circles because it doesn’t contain wheat, but has a similar texture when it’s in noodle form. This is a great option for gluten-free dieters. It’s also an alkaline food, so you can eat it without worrying if it will be acidic in your system. It’s also a surprisingly good source of protein, and has a decent amount of iron in it as well. If you’ve never used buckwheat in your cooking before, there are plenty of recipes available to add it into your diet, and don’t worry – it’s a pretty easy one to cook with! If you don’t like the taste of cabbage, keep an open mind. It could be that you just haven’t found a good recipe for it. 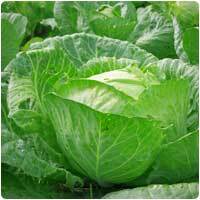 It’s really easy to cook cabbage poorly, so give it another try if it’s on your ‘Do Not Eat’ list! 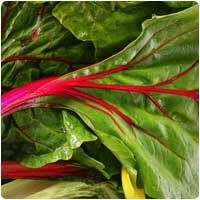 In addition to its alkalinity, it may be very effective in preventing, as well as reversing, certain cancers. Add to that the fiber content is boasts, and the low caloric load, and it’s a winner for just about every diet out there. 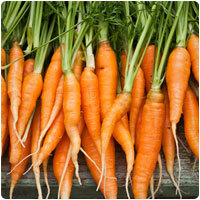 Carrots are good for the eyes, but their overall effect is also an alkaline one. This makes them doubly good to eat, and they are tasty both raw and steamed. Aside from their eye health benefits, carrots also have plenty of vitamins, fiber, and potassium, making them a very well-rounded veggie. So make like Bugs Bunny and be sure to get your carrot fix every now and then. Cauliflower is in the same vegetable family as broccoli and Brussels sprouts, and shares many of the same healthy characteristics, including being an alkaline food. It has a good amount of fiber, and it’s a great non-fruit source of vitamin C. It’s also very easy to prepare, but to keep as much of its alkaline nature as possible, eat it raw on salads or steam it until it’s tender and easy to eat. You can even use it as a rice alternative if you are trying to reduce the amount of carbs you consume in a day. Simply blend the cauliflower until it resembles rice, spread it across a tin or pan, drizzle with olive oil, and bake for approximately 15 minutes in a moderate oven. 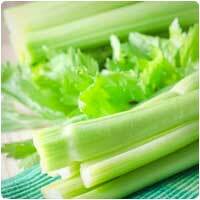 You’ve got to love celery, even if you don’t necessarily love the taste. In addition to being an alkaline food, it’s also very low in calories, and can boost your body with a number of nutritional benefits. If you don’t like crunching it up and having the strands get stuck in your teeth, pulverize it in a blender while you’re making a green smoothie or fruit smoothie. 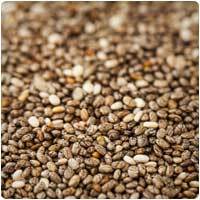 You might not think these little seeds could pack such a nutritional punch, or have any effect on your body’s pH levels, and it turns out, on top of all the health benefits everyone raves about, chia seeds also help with your alkalinity. The nice thing about them is you can sprinkle them on just about anything. Think about making a soup out of the veggies on this list, and then sprinkling in some chia seeds for good measure. Or add them to a smoothie to help tip it to the alkaline side, as well as increasing your fiber hit. You can add them to healthy baked goods, like banana bread, or even add them to cous cous. Be creative! It’s time to increase your intake of chives, and since they don’t typically find their way onto the plate, you’ll have to seek them out. Chives are an alkaline producing food, and they also do a great job of adding a punch of flavor to a meal, so you can think of new ways to use them. One great option is new potatoes – simply sprinkle them over the top. 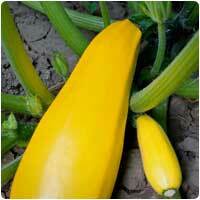 You can also add them into soups, or as a garnish or salads. Here’s another fantastic way to add big amounts of taste to your plate, while also helping to tip your body towards being and staying alkaline. It’s hard to imagine that these little guys can make a difference, but they’re not only alkaline-forming, they can help with cholesterol, anemia, and digestion. It’s easy enough to use in your cooking, and you can even plant it if you have a herb garden at home, or even in a pot on your windowsill. There’s no need to eat massive amounts of it, since it combines nicely with other foods found on this page. Coconut is such a natural food that it’s no surprise that much of what’s inside is good for you. The health benefits of the coconut milk, water, and flesh are all well-documented, and now you can add alkalinity to its list of benefits. It’s sometimes hard to think of ways to add more coconut into your life, since you’ll want to avoid the packaged coconuts shavings used in baking. You’ll want to stick to things like coconut oil, coconut water, and fresh coconut flesh in order to reap the benefits. Collard greens are a staple soul food, and this is one vegetable to get familiar with if you’re not already. 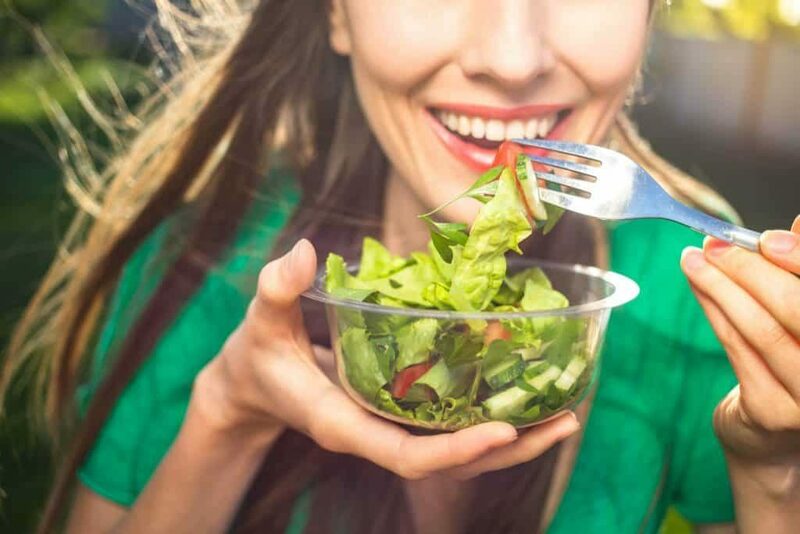 Being a green, it’s swinging some serious alkaline might, and in addition to that, it made our list of top cancer fighting foods, which is no coincidence since the two go hand-in-hand. Add to that the whopping amount of vitamin A it contains, and a list of other vitamins and nutrients, and it’s just begging to be eaten. Here’s a heavy hitter that you’ll want to keep stocked up in your refrigerator. 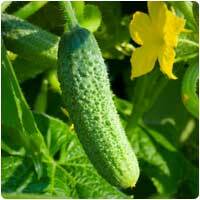 It is alkaline, and contains so much water that it’s a very hydrating vegetable. Keep the peels on for the best results, but if that’s just too much for you one way to split the difference is to just peel strips of the peel off, creating a sort of pinwheel effect. This not only adds to the presentation but also makes it healthier for you. 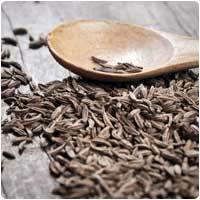 Cumin is one of those spices that you either have in your home, or you don’t, depending on the type of food you’re used to cooking. If you already use it often, just keep it up, but if you’re not too familiar with it, it’s time to add it to your cart the next time you’re out shopping. It’s a spice that can actually help your body neutralize the acidic foods you eat, which means that it’s going to have a doubling effect when used in conjunction with vegetables and other alkaline foods. 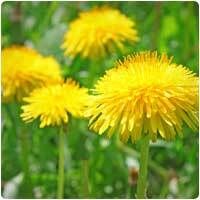 You’ll just have to get over the fact that this is considered a pesky weed in most lawns. The flower and the root are both very nutritious, and while it may take a bit of effort to start incorporating it into meals, it’s worth it. 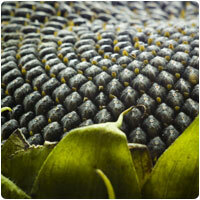 It’s an alkaline food, no doubt, and also has a detoxifying effect on the body. One other major bonus is that it can help to lower your blood pressure, so much so that it found its way onto our list of foods that help lower blood pressure. 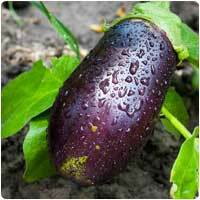 Eggplant is a versatile vegetable to add to your basket each time you’re shopping for vegetables. It provides an alkaline effect, and is one of those foods that you can eat as much of as you’d like! Eggplants are low in calories, help fill you up and keep you feeling full, and will help balance out some of the acidic foods you eat each day. And talk about having a ton of recipes – it’s one of the most popular vegetables, with side dish, entrée, dip and salad recipes galore. 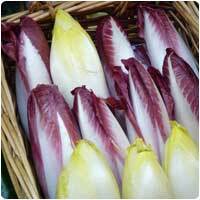 This is the first time that endive has made it onto one of our lists, as it is usually lumped together with “leafy greens.” But its alkaline power is high enough to give it its own credit. It can be a bit bitter for some palates, while others prefer the taste because it shakes things up from the usual spinach and romaine lettuce. No matter how you end up eating it, whether in a salad or blended up in a green smoothie, you’ll be doing your body a huge favor. There are plenty of benefits to flax, both in seed form and oil form, and one of those is its ability to help the body stay alkaline. The seeds are easy enough to sprinkle on just about any dish, and don’t really have much of a flavor of their own, so you can add them without worrying about changing the dynamic of your meal. They also blend easily into a smoothie. You can use the oil to cook with, and it will help nutritious veggies become even more nutritious. Garlic has long been known to be a cleansing food, and one that can add flavor to a meal, but it also helps if you’re trying to follow an alkaline diet. 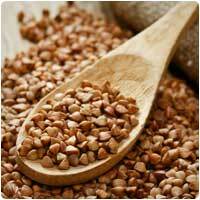 It’s a big help in fighting inflammation, and also helps lower blood pressure. 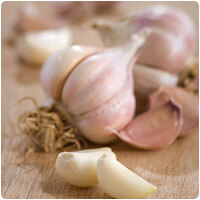 Garlic is very detoxifying, so you’re getting multiple benefits just by adding more of it into any meal. Try stir frying alkaline vegetables with a couple of cloves of garlic and enjoy! 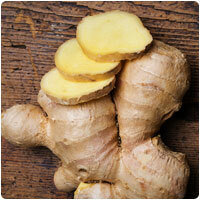 Ginger is a root that is becoming more popular as more people realize all of its health benefits. Ginger is a superfood, and has plenty of detoxing properties. It’s also an alkaline food, so it’s something that you can add to a meal and know it’s helping it to be alkaline for you. It is so impressive that we did a full ginger benefits list on it. There are also plenty of recipes featured here that include ginger as an ingredient. With the gluten-free trend rising, it’s becoming easier and easier to find gluten-free breads in stores, and this is a great way to get the taste and texture of bread without having to have it contribute to your acidity. While these may not be the alkaline powerhouse that cucumbers and spinach are, they are slightly alkaline so they’ll tip the balance in your favor. Look for bread that contains coconut or almond flour as these are the most alkaline types of flours available and beware of additives, preservatives, and refined sugar. You may have noticed that this list of alkaline foods is devoid of any dairy products. 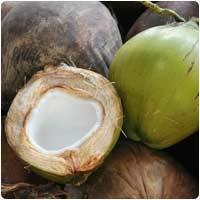 Coconut milk is dairy-free, which means that it won’t contribute to inflationary in the body like cow’s milk does. 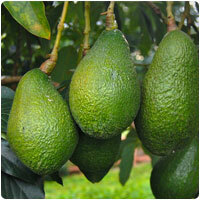 Its also full of alkaline nutrients that help combat toxins, such as healthy fats, vitamins, minerals and antioxidants. Try using coconut milk in your next tropical breakfast smoothie, and make sure that the brand you use is unsweetened. Here’s a superstar food that shows up all over the place. 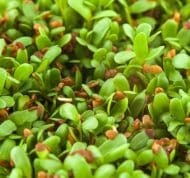 It can help you lose weight by boosting your metabolism, and it’s even been dubbed one of the healthiest foods on Earth. So what else can this wonder food do? Turns out it’s also alkaline. Its low sugar count makes this a fruit you can enjoy, even though it may taste sour and acidic, it has an alkalizing effect on the body once consumed. 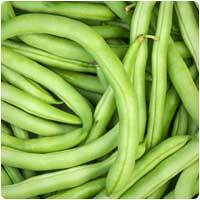 Green beans are one of the more popular vegetables, and typically make the rotation as a side dish for many families. And this is great because it’s an alkaline food that also comes with a nice list of other benefits, including being high in fiber, vitamin C, and potassium. You’re also getting a bit of iron and calcium, so there are plenty of reasons to eat them. Green beans are easy to cook and we have plenty of featured recipes for you to get ideas on how to do just that. To help you get or stay alkaline you’ll want to stick with herbal teas, which contain a wide variety of antioxidants and flavonoids. Use herbal teas in place of soda and energy drinks whenever you can. Varies by type and brand. You’ve just got to jump on board the kale bandwagon because it has so many health benefits you’re really missing out on if you don’t. Often brought up in the same sentence as spinach and other leafy greens, kale knocks it out of the park when it comes to its array of vitamins and minerals. Consider its hefty supply of vitamin A and vitamin C, and then add to it that you’re getting a calcium top-up, fighting inflammation, and getting more fiber. A force to be reckoned with! If you don’t currently eat any kelp or take any kelp supplements, you should consider starting, as this is one of those vegetables that has plenty going for it. It can help to detox the body, and goes great in a green smoothie. 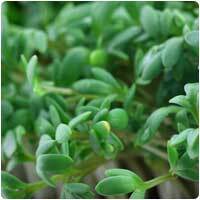 It also has a nice mix of vitamins and minerals, and since it comes from the ocean it adds a bit of variety to land-based veggies. 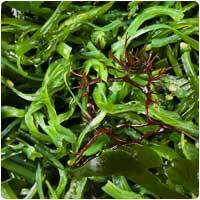 The end result is you’re helping your alkaline efforts by getting more kelp. Here’s one of the few wheat-based items on our alkaline foods list, and it actually does contain gluten in it. Research shows that khorasan wheat, or kamut, contains lots of vitamins, minerals and alkaline antioxidants to help detox the body. It also carries with it more iron and protein than regular wheat, so you’re getting a bigger nutritional punch, and also helping to stay on the alkaline side. If you’re sensitive to gluten, make sure you stick with gluten-free grains instead. 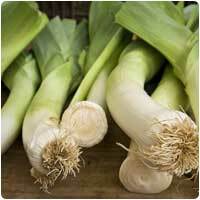 Leeks are often used in soups and other recipes, because they add a bit of an oniony flavor without being overpowering. You should consider using leeks more often because they are an alkaline food, and also carry with them a nice mix of nutritional value. They rank pretty highly in vitamin C for a vegetable, so you’ll be helping to boost your immune system and stay healthy. Leeks are not typically eaten on their own, but you can steam them and mix them with other vegetables on this page for a good pH boost. This is a surprising entry on our list because your mouth may be puckering by just reading the word lemon. It’s so sour and tastes so acidic that many believe this must be acid forming. On the contrary, it produces an alkaline response in the body, and has anti-bacterial properties to boot. It also has a cleansing and detoxifying effect on the digestive system, as well as a good dose of vitamin C so it’s good to use more of it each day. 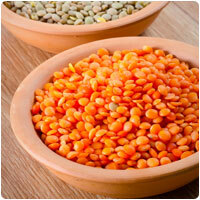 Lentils are often overlooked by non-vegetarians, but they have been gaining more notoriety in recent years. In addition to being digested slowly by the body, and adding to your fiber intake, lentils are also an alkaline food, and have a host of vitamins and minerals. You’ll get the best benefit by cooking them at home rather than buying them in a can, and it’s not a daunting task – you simply boil them until they’re al dente. While many say that regular lettuce is devoid of any nutritional value, it still produces an alkaline effect on the body, so it’s not completely useless. You may be better off with romaine and other varieties that are also alkaline, and bring more nutrition into your system. But the basic idea here is that if you’re eating lettuce of any kind, you’re getting phytonutrients and helping your body get to or stay on the alkaline side of the pH scale. Lima beans are a rich source of iron, which is why they’re popular for vegetarians and vegans. They’re also packing a good amount of vitamin C, giving you more than half of what you need for the day without having to resort to eating citrus fruits like oranges. Another nice benefit is that they’re alkaline-forming once eaten, so they can act to counter other acidic foods, or help keep you grounded on the alkaline column. Like their lemon counterparts, limes are often thought of as being acid-forming, because of their sharp acidic taste, which is caused by the citric acid they possess. But they move the pH level upward when consumed, so it’s a good idea to start using more limes to dress up your foods, or add a slice to a glass of water. It may be hard to eat limes the way you’d eat an orange, so it’s best to use them as an ingredient in other dishes, or infuse some of your cooking with lime juice or rind. 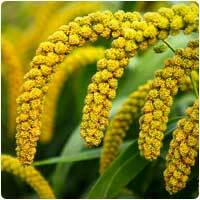 Millet is one grain that doesn’t contain gluten, and is a popular choice for those following a gluten-free diet. The reason it’s so popular is that it’s easy to use as a replacement for wheat, and you can make breads and use it in other recipes that call for wheat. And unlike wheat, it is a natural source of both iron and protein. This means you’re getting a better bang for your buck, and also helping to stay off the acidic side of the pH scale. Fresh mint is a great way to add a distinctive flavor to a dish, and it also brings with it certain nutritional benefits, landing itself on our list of alkaline forming foods. 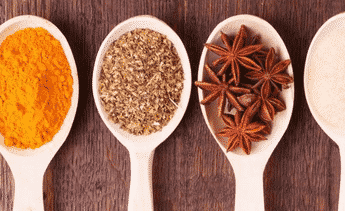 When you consider the different herbs and spices that you can use, it’s best to choose those that contribute to the alkaline rather than being acid-forming. Try adding a mint leaf or two to a smoothie or detox water for that special aroma – this gives it that fresh taste that even leaves your breath better afterward. 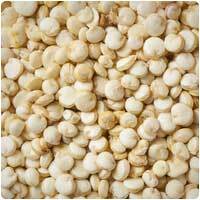 Mung beans have been linked to lowering cholesterol, battling chronic diseases, and helping to prevent or manage diabetes. They’re also an alkaline forming food in the body, and one you can turn to on a regular basis to create a plateful of alkaline foods. 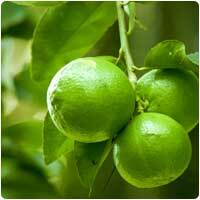 They’re also a good source of the antioxidant vitamin C, which has been shown to help boost the immune system. Vegetarians can use them as a natural source of iron. 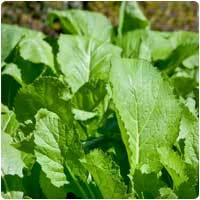 Leafy greens are abundant on our list of alkaline foods, but you may have never tried mustard greens before. You really should, as research shows they’ve got plenty of antioxidants and have anti-inflammatory properties. They also help detox the body and maintain a healthy heart. The fiber they contain is an added bonus, which can help spur weight loss, improving your overall health. 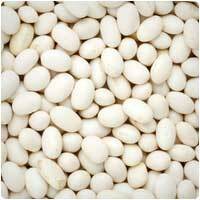 Navy beans and other white beans make the list because they are well utilized by the body, and are on the alkaline side of the scale. They have an impressive amount of iron, contain a good amount of fiber, and are a low-glycemic food, so they help prevent spikes in your blood glucose levels. They’re also a very versatile food, and show up in several recipes in the form of side dishes, or mixed with other ingredients in a vegetarian main course. If you’re not used to buying new potatoes, you just have to look a little closer at the descriptions. 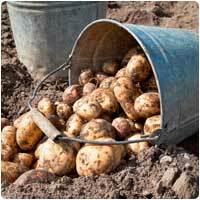 They may cost a bit more than regular potatoes, but it’s worth it for the alkaline benefits. It just means they are picked prematurely. In addition to having a better taste, they also keep your body alkaline or help it to get there by not being an acid forming food. Try them and you’ll see just how delicious an alkaline aware diet can be. 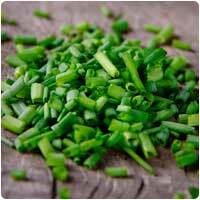 Add chives to the top for even more alkalinity. 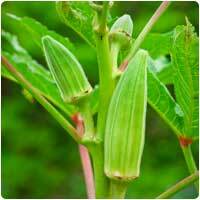 Okra gets talked about a lot in health food circles, and with its unique blend of vitamins and minerals it’s easy to see why. It’s also included in the family of foods that are alkaline, and you can basically eat it to your heart’s content because it will only help your body stay or get alkaline. The one trip up you might have is if you’re not familiar with how to prepare it, but it’s worth getting up to speed and eating more okra. We’ve all heard that olive oil is one of the healthiest oils to consume, and it can add the alkaline feather to its cap. This is one oil that you can drizzle over a salad – preferably a salad made with as many alkaline vegetables as possible – or used in cooking to add extra health benefits. It’s great for weight loss, and can help detox the body. 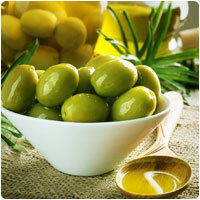 Add it to a green smoothie for extra thickness and consistency, or replace vegetable oil with olive oil when baking. It’s a great oil to have on hand so you can use it whenever you can. Onions are an alkaline food that you may already eat on a regular basis. You just want to make sure you’re eating them in conjunction with other alkaline-forming foods, and not using them as toppings for hamburgers and hot dogs. Sauté them in olive oil and you’ll increase the alkalinity, but don’t overcook them, because you will lose the nutrients that make them alkaline. 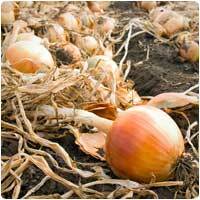 Onions are a staple in many recipes, just be sure to use fresh onions so you can get the most benefit from them. Here’s another way to add to the presentation of your plate, but also help to keep your body alkaline. This little green herb is commonly found next to steaks, but you’ll want to start using it to adorn more veggie-featured plates. You can also add it to a smoothie and you’ll end up with a fresher-tasting beverage, with more vitamins and minerals than you started with. 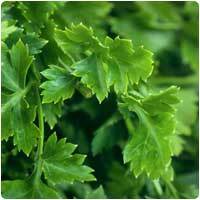 The great thing is that you can grow your own parsley pretty easily at home and always have it ready. 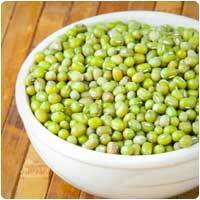 Peas are a top contender for side dish of the year, and so it’s great that they’re an alkaline food as well. 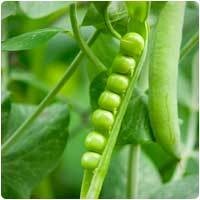 Peas usually hold their own and don’t need anything special added to them. Try cooking them in ghee or coconut oil for a real treat. No matter the color, you’ll be helping yourself stay alkaline. 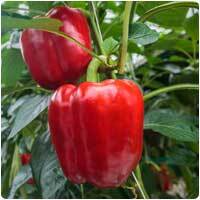 Red, yellow, and green peppers all keep your pH levels up. They’re also very easy to cook with, and taste great fresh. If you do end up cooking them, they stir fry nicely with onions and garlic, in just a little olive oil. Like many of the foods on this list, they have multiple benefits, being a great source of vitamin C, and also a decent source of vitamin A. You may have heard about the latest trend in drinking pomegranate juice, and as it turns out this is a fruit that you can enjoy without worrying about it being acid-forming. The amount of potassium it contains is pretty great, and it’s also a good source of vitamin C. It’s great in a smoothie, or as a snack while you’re on the go. If you do drink the juice just make sure there’s no sugar added, and that it’s not mixed with preservatives, or the alkalinity may be lost. It’s time to break out the pumpkin for more than Halloween parties and holiday pumpkin pies. 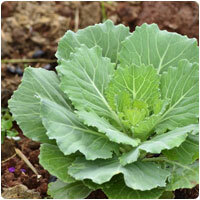 This is a vegetable that you can cook up all-year-round and reap the health benefits from it, including its alkalinity. The best part is that the seeds can also be used as a snack, because they’re also alkaline. If you needed any more convincing to start eating more pumpkin, just check out the impressive amount of vitamin A it contains. Quinoa is getting more and more mainstream attention as one of the healthiest foods you probably aren’t eating. 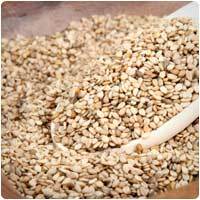 The reason is that it’s so versatile and easy to use, and has more vitamins and minerals than many other grains out there. It’s a seed, and it’s gluten-free. 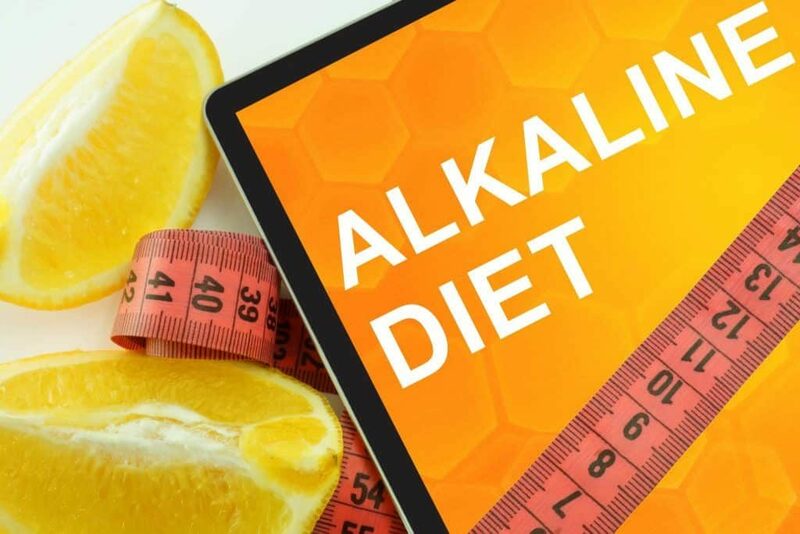 It isn’t excessively alkaline, but enough so that you’re not taking a step back toward acidity, but rather taking a small step toward alkalinity. Quinoa can be added to stir fries or used as an alternative to rice and other grains. You just can’t go wrong with radishes, they’ve been shown to help fight cancer, while improving your digestion and preventing heart disease. 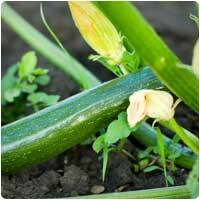 They have a detoxifying effect on the body and can help regulate both blood pressure and blood glucose levels. Add to that the fact that they help keep your body alkaline. The one thing that may be stopping you is the taste, but there are plenty of ways to cook them up, or add alkaline herbs to them. Most commonly found in stores as kidney beans, the different types of red beans are all considered alkaline, and deserve a place on your plate. What’s more, they’re also just a plain healthy food for you no matter what you’re trying to achieve. They’ll boost your iron levels, have a good amount of calcium, and are a surprising source of vitamin C. Add to that their fiber levels to aid digestion, and the fact that they can aid weight loss efforts. Rhubarb can be a hard food to familiarize yourself with, because while it may appear to be a vegetable, it’s really a fruit. It’s one of the few fruits that have made it onto our list of alkaline foods. It may look like a bizarre form of celery, and its tartness can be a little much for some, but if you find the right recipe, or the right way to prepare it you should be all set. 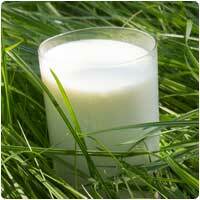 The amount of calcium and antioxidants it contains makes it very well worth getting to know. The thing you want to watch out for here is that your sesame seed intake doesn’t come from a sesame seed bun on a burger. They aren’t so alkalizing as to offset a big block of acid-forming foods! But as long as you’re sprinkling them onto a salad made with alkaline veggies, or dropping them into the blender while you’re creating a green smoothie, you’ll be all set. Just look at the amount of iron these little guys contain, as well as a big source of protein from a small seed. Ever wonder why soybeans are thought to be so healthy? One reason is that they’re an alkaline-forming food. 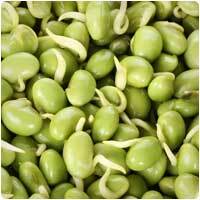 They’ve been big in vegetarian circles for quite some time because they’re a non-meat source of iron and protein. They also provide a non-dairy source of calcium, so they’re something that you’ll basically need to add to your diet if you plan on cutting back on meat and cutting out the dairy to stay more alkaline. Here’s an alkaline powerhouse that you’re probably already very familiar with, especially if you watched Popeye the Sailor Man growing up! Spinach is the leafy green that is most notorious for its health benefits, and it doesn’t really matter what form you eat it in, you’ll be helping your body go alkaline. One of the best ways we’ve found is to buy baby spinach and use it as a base for a salad. Since there are so many alkalizing vegetables it’s super easy to concoct a salad that will send your pH levels rising. It’s hard to make a side dish out of just sprouts, let alone a meal, but they’re a great sidekick to other veggies, they go great in a stir fry, and they blend up easily. 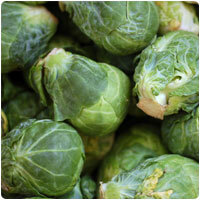 You don’t want to miss out on their alkalizing ability, as well as the nutrients, enzymes, and protein they contain. One good feature is their availability, typically found in most grocery stores and supermarkets, be sure to pop a pack in the cart next time you’re out. Each different variety of squash has its own unique mix of nutrients and health benefits, but one thing they all have in common is that they contribute to your body’s alkaline state. They make fantastic side dishes, and there are many vegetarian recipes that can show you how to turn squash into your main dish, with other vegetables standing in as side dishes. 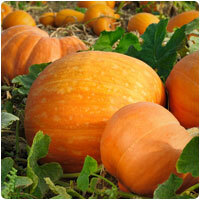 The vitamin A is through the roof, and the vitamin C is excellent as well for butternut squash. 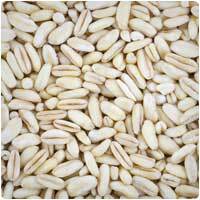 When you eat sunflower seeds, make sure that you’re not getting the ones that are dry roasted and have a lot of added salt. That way you’re getting the benefits of this naturally alkaline food, without the additives that could lead to higher sodium levels and higher fat levels. They can be a source for healthy fats, and also provide protein and iron, which is essential if you plan on cutting back on acid-forming meats. 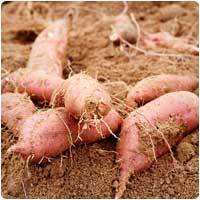 Many people erroneously believe that starchy foods are acid forming, which is why they’re surprised to find sweet potatoes and new potatoes on the list. But whether a food is acid forming or alkaline forming is determined by how the body breaks it down once it’s consumed, and in this case, it’s alkaline. You also get the other benefits of sweet potatoes in addition to their great taste, including a good amount of fiber and a healthy dose of vitamin A, which is a powerful antioxidant. 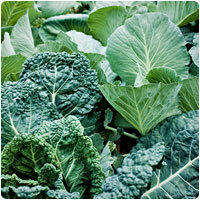 Here is a leafy green that has been flying under the radar for a long time, but is alkalizing like its leafy cousins. Perhaps you’ve had Swiss chard in a mix of greens at a restaurant in their garden salad, or maybe you’ve tried it before at home. It has a distinctive bitter taste – one that may not be appealing at first – but one that you might crave after eating it a few times. It does play well with others like spinach and kale to mix things up. Thyme is a wonderful spice to use in your cooking, because it is alkaline forming, and also has its own list of additional health benefits. In some cultures this is the main seasoning used in many different dishes. 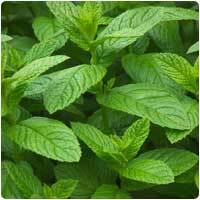 One of the benefits it boasts is in boosting the respiratory system. 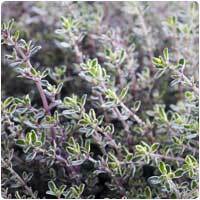 It has been called a ‘superspice’ in recent years, with plenty of nutrients and antioxidants in such a small herb. Vegetarians have been using tofu as a meat alternative for years, and as it turns out, they may have inadvertently been assisting their body in creating an alkaline state. This may account for the documented health benefits of following a vegetarian lifestyle, because part of this entails replacing acid forming meats with alkaline forming foods like tofu and vegetables. You don’t have to go fully vegetarian to get the same benefits, as most alkaline diets allow for some acidic foods to be eaten daily. Western diets include far too much processed meat, so aiming to have vegetarian days during the week, or minimizing the amount of meat you consume in a meal, is a very good idea, especially if you are trying to go more alkaline. Tomatoes have plenty of lycopene in them, as well as antioxidants, and they’ve been shown to help the heart and help us to live long and happy lives. In addition to that they’re an alkaline forming food. Just one more reason to start eating more of them. Even though you might think of a tomato as being acidic because it can trigger the same sour taste as a lemon, it is not acid forming, and instead actually helps to raise your body’s overall pH. 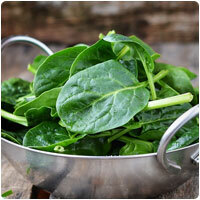 Here’s another leafy green that can help keep your body alkaline. As a bonus, it’s full of plenty of other vitamins so you’re getting broad coverage for your nutritional needs. It has its own distinct flavor that you might prefer over some of its cousins, and it ranks pretty highly on the alkaline scale in regards to the effect it has on the body. It’s even been shown to help repair damage to DNA, which can be a big help in preventing and reversing inflammation. 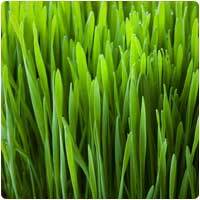 Wheatgrass has enjoyed a lot of popularity in recent years as the green smoothie intake has increased, but it has been something that “health nuts” have known about for quite some time. It’s a very strong source of alkalinity for the body, and is often found in supplemental form, meaning you can mix it with water and drink it. Some choose to drink a daily glass of wheatgrass juice as a sort of insurance that their body is getting enough alkaline forming food. 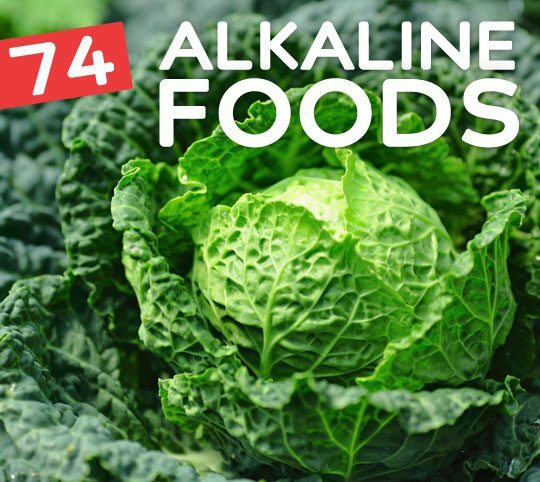 This is one vegetable that is readily available at most grocery stores, which make them easy to start using as part of a comprehensive approach to help your body stay alkaline. There are many different zucchini recipes available, but steaming them and eating them on their own is the way to get the most benefit. 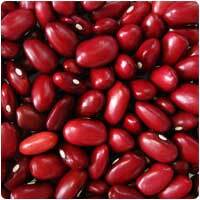 They can also help lower bad cholesterol levels, and they may even help in the prevention of prostate cancer. Remember, you don’t have to limit yourself to alkaline foods only, but they do serve as a nice base for your overall diet plan. The more of the foods on this list you eat, the more alkaline your body will be. But balance is key, and other foods contain plenty of vitamins and nutrients, and shouldn’t be neglected. Eat a wide variety of healthy foods, including those listed here for their alkalinity, and you’ll be doing your body a big favor. Do Alkaline foods help acid reflux? There is a direct link between eating alkaline foods and reducing the amount of stomach acid, which may help lessen or prevent symptoms of acid reflux. 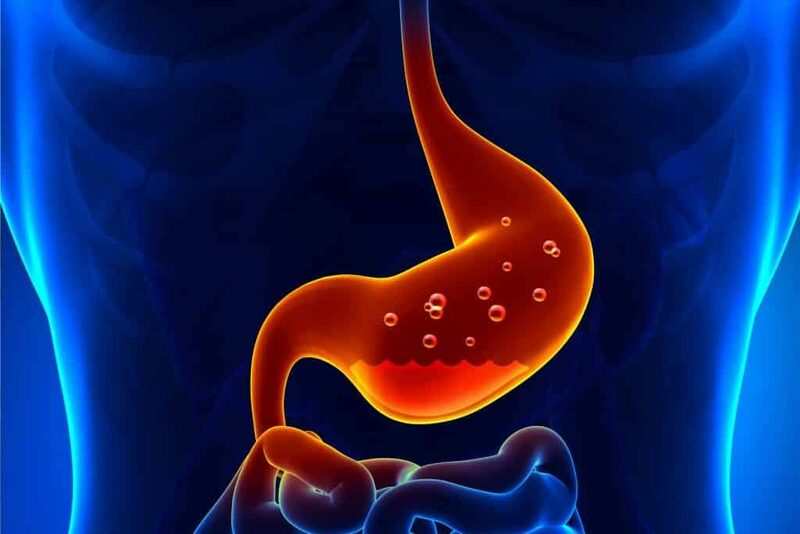 Perhaps you’ve identified certain foods that give you acid reflux when you eat them, and now you avoid them. In all likelihood these foods are on the acidic foods list. When you peruse the list of alkaline foods you’ll likely notice that none of them stand out as foods that contribute to your condition. It’s always best to ask your doctor for a diet plan that will lessen your acid reflux, and you might find it very comparable to an alkaline diet. What does “alkaline forming” foods mean? This means that while a food might not be alkaline in nature, when broken down by the body is produces an alkaline effect, in contrast to an acidic effect from acid forming foods. One example is that citrus fruits like grapefruits and lemons, while containing citric acid, are actually alkalizing once you eat them. That’s why it’s important to distinguish between foods that on the outside are acidic, but once digested and processed by the human body, become alkaline. You might notice that there are a lot of different alkaline/acidic lists out there, with change-ups of different foods, some showing them to be alkaline and other showing them to be acidic. It can be really confusing but we did our best to bring you the most accurate data. What do alkaline foods do? Alkaline foods may help to bring the body’s pH to a level that supports health and well-being. They might also help to neutralize excessive amounts of acid that can lead to inflammation and other chronic conditions. Do Alkaline foods help you lose weight? If you change your diet to include more alkaline forming foods, you’ll lose weight. This is because these foods have plenty of other benefits in them, and many of them are considered superfoods. If these take the place of some of the unhealthy acidic foods you’ve been eating, like heavily processed foods, the result will most likely be weight loss. Almost all of the alkaline foods we’ve found can also be found in diet plans and weight loss programs. Every diet we’ve seen has advocated the use of spinach and other leafy greens – it just so happens that they’re also alkaline. What do alkaline foods taste like? There is a wide variety of alkaline foods, so there’s no one answer for this. Many of these foods are vegetables, some are fruits, and some are nuts and grains. It’s important to understand that acidic foods don’t taste like acid. They don’t burn your tongue when you eat them. They produce an acidic effect within the body. Alkaline foods therefore don’t have a specific taste to them when you eat them, and there’s no flavor cues as to whether a food is alkaline or acidic. 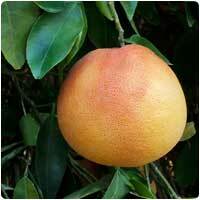 For example, oranges have citric acid but are alkaline forming, so basically they can taste like just about anything. Does cooking alkaline foods make them acidic? While it doesn’t necessarily make them acidic, you might be cooking out essential vitamins and minerals that could be helpful to the body. It isn’t necessary to go on a raw diet in order to eat alkaline foods, but the fresher you can eat your foods the better. If they need to be cooked, stick to methods like steaming or sautéing so that you can keep the nutrients in them intact. 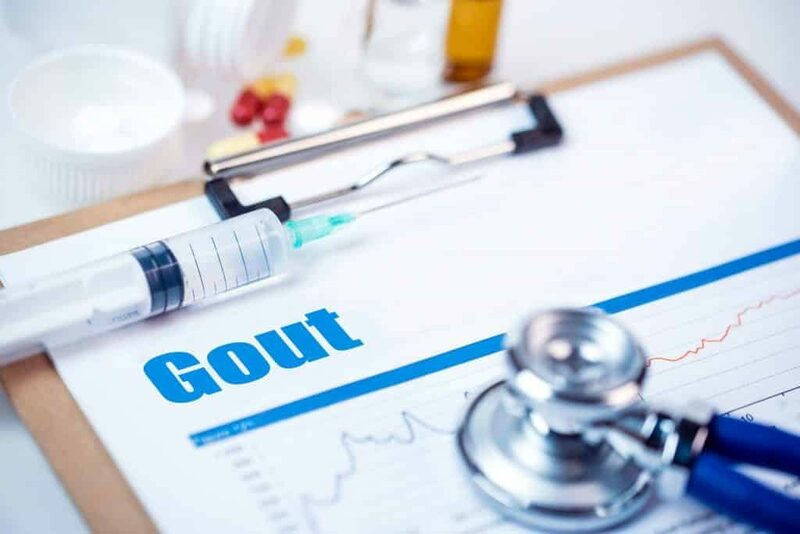 Since gout is caused by an excessive amount of uric acid in the system, the thought is that by eating more alkaline foods you’ll be helping to diminish those levels and be free from gout attacks. It’s true that alkaline foods, once eaten, have an alkalizing effect, and therefore would help to neutralize some of the acidic foods you eat. Special diets for those with gout mimic very closely an alkaline diet, and by going alkaline you’ll be avoiding some of the known foods that trigger gout outbreaks. 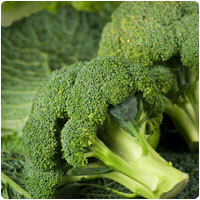 One of the claims made by alkaline diet promoters is that alkaline foods can help with your acne. The reason for this is an acidic environment is at least partially to blame for the amount of acne you have. There’s long been a basic thought that eating an improper diet, especially greasy fried foods and dairy, can lead to more acne. 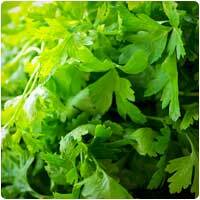 But perhaps it is not a certain type of food, but rather the acidic effect that causes the breakouts. By eating alkaline you’re getting a big dose of vitamins, minerals, and antioxidants in whole food form, which will likely help your skin be healthy and free from blemishes. The list of alkaline benefits sometimes includes allergy relief. It is unclear how an alkaline diet would help to prevent allergic reactions to things like dust, pollen, or pet dander. An alkaline diet is often referred to as a ‘cure all’ for anything that ails you. Many alkaline foods will also help you keep your blood glucose levels in check so that you don’t have the sort of spikes you get from high-sugar foods. In this respect, many diabetic diets that are prescribed by doctors closely resemble an alkaline diet, with beans and vegetables being the order of the day. The chances of getting diabetes while following an alkaline diet would be lessened, and it may help you manage your diabetes if you already have it. Be sure to consult with your doctor to seek their advice before starting any kind of diet – even an alkaline one, or if there is a better eating plan they recommend for that purpose. Link between alkaline foods and allergies is via regulation of histamine release. Many of alkalizing foods contain antihistamines. And as a backlink – histamine also regulates acidity i.e. less acid is produced with foods that do not stimulate histamine release, and they happen to be alkalizing foods (although not all of them are histamine neutral). Thanks but which foods can relieve fatigue? i agree 100% to everything NEIL said.. especially for the water mellow i think has the hi ph 8,5 ,Melon & lemon juice too. Hi, Was reading your comment and would love to know more on your eating habits! Thank you and hope you are still going strong! It must seem for you as if you’ve been reborn – so lovely to hear how well you feel now. I am just starting on my journey. Is your fatigue from high ammonia levels or from lactic acid? Ammonia builds from a high protein diet. And the ammonia can grind you down just as much. Eat 3 fresh organic home crops to 1 alkaline meat with some fats other than saturated fats and your fatigue should go away. This alkaline stuff is nonsense. The body adjusts pH levels on its own and if those levels get out of the normal range, as this dietary nonsense recommends, then people would die. Very simple. If this alkaline dietary stuff were true then our bodies don’t work the way science says they work. Don’t fall for the anti-science con. Ha – and don’t be too quick to be “blinded by science” Johan – I am proof of the pudding, simply because I was willing to think out of the box!! Proof of the pudding…. are you saying that an alkaline diet change helped you to balance your PH or what did it do for you? I am weighing if to incorporate more into my diet. I’m not sure what Vanessa is saying but following an alkaline diet will definitely help you become more alkaline and you will be healthier for sure. Johan is saying your body regulates itself however if you fill it with way too many acidic foods rather than alkaline foods it cannot regulate it enough for you to stay healthy with the correct pH. And what was your “out of the box” decision, Vanessa? Could you share it with our little community? Johan, it is so complex. Looking at many sites, some call lard highly acidic, neutral or slightly alkaline. 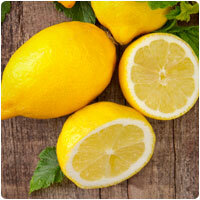 Some claim lemons are the most alkalising food; others label it moderate. What gives? There are so many agenda out there. It is difficult to find the sites that uses honest testing. This idea that veg is good and animal products not is become engrained in our society. Politics has no business in the kitchens of the nation. But agreed, your body fights to find the perfect balance—otherwise, death quickly ensues. However, in short terms, you can sway the balance a little and possibly to the betterment of health. Finding the actual levels is difficult. Does it depend upon mood, habit, blood type? With so many differences the problem lies somewhere between agenda and some other peculiar physical response. So it takes personal study and experiment (my body is my laboratory; my senses and physical changes indicate direction). I do know with my own body that if I spray my skin with a very light alkaline water (a pinch of baking soda) and I adhere to my paleo diet with low protein, high animal fat (I render my own lard and use bovine, salmon, and some herbal fats and the rest of my fair made up of low calorie green and alkaline vegetation, that it does better with less stress from eczema. However, what works for me may be different from others. But we must be honest. To have an agenda, Vegan, Paleo, political—that is wrong and unkind. I also alkalise my drinking water and have a structured water process, both mechanical and prayer (strangely), that I can test by going off and then checking the water retention or dehydration of my palms. One has to widely study, experiment and listen to the signals from the body. You make it seem like people aren’t dying. People are dying everyday because of life styles that involve more acidic than alkaline foods. Not to mention the effect it has on your consciousness. …and people do die, when it gets out of normal range…. That is plain nonsense. My husband health is improving because of the change I have made. Now I have a large variety of alkaline that we can choose to stay on a healthy path. 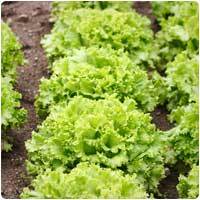 Grow your own organic crops. An alkaline diet is great, but if the veggies you are eating contain toxins such as nitrates or pesticides, toxins will slowly destroy the body. Farmers love to use chlorpropham to speed up harvesting crops and of course anything which causes inflammation will harm us. Chronic inflammation is 1 of the 3 primary ways we age. We do not age by time. Time is a socially constructed idea (we made up time). We need inflammation to heal the body, but when the inflammation is chronic (everyday) we turn over our cells exponentially faster. All toxins cause chronic inflammation. And anything made of flour, cleaning chemicals, auto fluids, fumes and all pollution are toxic to us. One should use dirt with cow manure and not nitrate based fertilizers so there will be nutrition in the food. Ever hear d of 10-10-10? 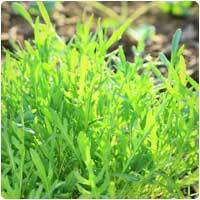 Nitrate fertilizers possess nitrogen, potassium and phosphorus but of little other nutrition. This is why you seed very few ingredients listed on the produce labels at grocery stores. You seed some A and maybe some manganeese maybe even C but almost nothing else. Just after WWII, ammo companies didn’t know what to do with their nitrates and guess what they decided to do to keep making a buck? When we lack nutrients supporting our immunity, this is where free radical damage attacks us the most causing much more aging. Johan, I think you missed something that this article missed as well. When the body naturally balances its pH level, it does so by pulling calcium out of the bones and other kinds of processes. Obviously this is something you don’t want to happen. You shouldn’t even eat “alkaline forming” foods, because this is encouraging the body to do the same thing. Eating alkaline foods is very different from eating alkaline forming foods. The bottom line is like all the healthy cultures, we should make vegetables the main part of our diets and then you can go ahead and eat meat and dairy and whatever. Well Johan……I regret to inform you,that MOST mainstream science IS brought and paid for,thus making it NO MORE useful than Propaganda!!!. certainly the body balances blood ph very quickly, BUT it does it by stripping the minerals it needs to do this out of other organs and bones. If you keep this up for 20 years, yes, you will die. People do die, Johan. The body can be out of range for a short period of time, but when it’s chronically bouncing back and forth with ash residue, cells die and eventually disease sets in. Then people die from all sorts of things that could have been avoided..
Johan, your comment is kind of absurd and not grounded in any real scientific data, though you claim science is the justification for your statement. What you said is like saying that Diabetes is a myth because everyone’s body naturally regulates blood glucose and insulin on its own and diet will have no impact. It is true that the body adjusts to healthy ph levels if we are healthy. What has happened in recent years is that we consume more preservatives, more meat, more dairy, microwaved food, food that is not in season, food that is not fresh, soft drinks, alcohol, processed food etc. This is coupled with a sedentary lifestyle, more stress etc. So while a healty body would indeed adjust to healthy ph levels, we are overloading our body with these things that will make us ill. This is why there are so many charts etc about alcaline foods etc. I think it’s pretty obvious that most of the foods listed as more acidic are bad for you in several ways, not just their acidity. Johan reminds me of my mom, as many people out there who are painfully gullible there are just as many who cannot get on their soapbox fast enough to tell you an idea is stupid. I’m doing my research on this stuff to find a more natural cure for my acne. I never realized how terrible my diet was! Almonds are definitely alkaline, but almond milk is still acidic. Caitlin – almond milk is only acidic due to the processes it goes through before it put on the supermarket/grocery shelves. If you make it from fresh, it really is alkalizing. I make my own and find it wonderful. It has never caused me any problems and I suffer from some severe stomach problems due to a previously mainly acidic diet. all I know is that when I eat a lot of acid-producing foods such as wine, coffee and bread, my psoriasis gets significantly worse, my knees hurt more, and I feel more inflammation in general (eg., my back gets really hot at night). Trust me. I would not cut out these foods if they didn’t make me feel so miserable. Simply, I feel better when eating a diet heavily weighted towards the alkaline-producing foods. Do your own test. The pains you are feeling are from chronic inflammation. Chronic inflammation is 1 of the 3 primary ways we age. We need inflammation to heal but when the inflammation continues day after day we turn over our cells exponentially and of course exponentially age. WE do not age by time. Time is a socially constructed concept (we made it up). The processed foods you have been eating are toxic to your body, hence the inflammation to rid the toxins out of your body. All toxins cause chronic inflammation. And anything made of flour(i.e. cookies, cakes, pasta, pizza), cleaning chemicals, auto fluids, all pollution, and soda are toxic to us. Not to mention our body releases calcium from our bones to try and buffer the acid to protect out organs. After years and years of acid foods, our bones become brittle. Psoriasis is an auto immune condition. Simply put, it is an inflammatory response from your body to try and protect itself. Our immune system was not designed for foods we did not evolve on especially modern toxins. The body doesn’t expect one to keep putting the toxins in our body , so the body doesn’t know the immune system is hurting us. 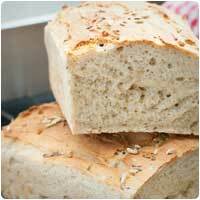 The best reason to stay off of bread is the damage sugars do to neurons. Sugar builds in the body and brain choking the neurons off one by one. Most cases of Alzheimers’ are due to decades of processed foods. If you wanna maximum health for maximum years, grow your own crops on dirt with cow manure to limit toxins and get nutrients in the food. Farmers love to use Chlorpropham to speed up the harvest. And farmes also love to use cheap nitrate fertilizers for profit. In another website, I read that eggplants provide an acidic environment in your body; that’s why I actually stoopped eating them, even they have been long time favorites….. I wonder who is right now…. I also read before that tomatoes do not form alkaline environment, and I stopped eating them because of that… Who’s right???? It is an extremely important to me, especially after I had undergone a serious surgery and am suffering from lymphoedema…. You might want to research that again. I thought tomatoes contained lycopene which was said to help with cancer. 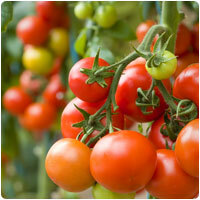 Tomatoes itself are acidic, but it’s effects on the body are alkalizing. Most tomatoes are alkaline. Some are acidic. The idea is when one eats a food, the byproduct is either alkaline ash or acidic ash. Most acidic tasting fruits are alkaline. We all have some form of cancer. Our body either keeps it in check with our immune system or it doesn’t and becomes life threatening. Always go to a doc first because knocking out cancer quickly as possible is most important. If the doc can’t knock the cancer out and sends you home to die, the next idea is to figure out which immune cells such as macrophages eat which cancer cells and working to properly restore our immune system. Cancer loves acid and body fat, so I would cut way down on acidic foods and cut out saturated fats and processed sugars to cut down as much bodyfat I had. Tomatoes for some people are causes of arthritis. I happen to be one of those people. All foods from the Nightshade family of foods causes me great pain in my joints. It took me a long time to find that out but so glad I did. I now have relief by not eating those foods. Tomatoes, potatoes, peppers, eggplant. Just for the record. I compared the nutritional value with what they are saying….. they embellished a bit. Nut values off are because some foods are raised on nitrate fertilizers and of course the nutrition is missing. 10-10-10- makes pretty crops but other than nitrogen, potassium and phosphorus, most other nutrients are missing. You will notice this on the nutrition labels for produce at grocery stores. Lots of potassium, some E. C maybe manganeese at times, but most nutrition missing. 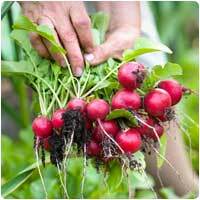 Grow your own crops on dirt from cow manure to stay healthy! Suffice it to say that increasing the amount of alkaline and reducing acidic foods in my diet has definitely helped in nearly eliminating my esophageal reflux. It has taken me 10 years to find a doctor who could point me in the right direction. I had a chronic cough primarily in the mornings. I was treated for GERD and allergies with no results, other than that I found t I did not have an allergy, nor did I have GERD. Since finding that my cough was the result of my diet (too much acid and too little alkaline), I’m now on the road to recovery. Yes, we are what we eat. Have to agree with the previous post.Johan is a complete imbecile and appears to suffer from verbal diarrhoea. The human body is completely incapable of coping with acidic foods and the result of this over time is almost certain death by cancer.Any scientist staying otherwise either has ties to the food industry or got their degree from the university of twattingham. Well there must be a balance between acidic and alkaline foods. We can’t make essential amino acids or essential fats. Can you eat any organic chicken or beef with these veggies or foods listed?? Is chicken broth acidic? We need some meats for certain reasons. One reason being essential amino acids. The term essential means the body cannot make them. We need essential amino acids and fats. 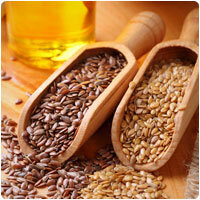 Avoid meats raised on grains because auto immune illnesses will only be the result. Saturated fats will only destroy the cardiovascular system and the brain. Try an avocado and some deep sea fish. Cas, watch the documentary Forks over Knives. We actually don’t need meat. There are many other ways of getting the amino acids and fats. The food pyramid is out! yes, chicken broth is acidic. May want to use vegetable broth in its place. I read an article a long time ago, and you can take it for what it’s worth. Some scientist took a tumor from a patient and cut it in half, they put half in an acidic solution and the other in saline solution. The half in acidic doubled it’s size in a few hours, the half in saline solutions died. Whether this is true or not I don’t know but I do know that eating better can solve many health problems. Back in the “70’s my dad who was taking insulin shots for diabetes went to a commune and ate a vegan diet and did some work for the farm because we didn’t have money. He forgot to take his insulin shots for five days with no repercussions until he went back to eating the old way, my mother said we couldn’t afford to eat the vegan diet. She was set in her ways and didn’t want to change. by the time he died in ’03 they were paying $300 a month on insurance and it didn’t cover his meds. He had bypass surgery and many other health problems. I went to the doctor several times with my skin problems and they said it’s contact dermatitis, they don’t know what’s causing it. I went back that the Dermeze doesn’t help and they referred me to a specialist. I didn’t have money for a specialist, so I just put up with it. I also have many muscle cramps which I put down to just not doing enough exercise and stretching…. It’s been about 3 years and it got to the point where the itchiness has become unbearable, I also have acne and I’m 59. I started researching on the internet and came across the acidosis issue. I realised these are the very foods I eat most of as they are the cheapest (try resisting a discounted chocolate mudcake that can make you satisfied much longer than a plate of steamed spinach). I am desperate and also my finances are slowly improving, so I went to shop today for rockmelon, watermelon, pumpkin, baby potatoes, rolled oats and celery. I ended up paying less than most days I leave at the supermarket. I stopped drinking coffee and tea effective immediately and will happily dust of some of my mother’s recipes that on the balance were alkaline in most cases. I am starting to feel a little relief from the itchiness already, after just the first 24 hours without coffee and after a meal of porridge, rockmelon and some avocado and red onion with wholemeal bread. Oh and don’t forget the almond milk that I now use to keep myself off coffee and tea. Keeping my fingers crossed. Informative Article! very helpful indeed!!! This is an excellent list of foods; however, one of the major problems with today’s food source is genetic modification. If someone has cancer or has had cancer, eating soy products, GMO or not, is off the table. It is so difficult to trace our food supply these days. I cured myself of Diabetes and MS. Now I know the limits of what a good diet can do. You have to go beyond what you put in your mouth. Jesus said it isn’t what goes into Tha mouth that defiles him or her. A varied diet has its benefits but we must become single eyed to see the truth. The body is always working hard to regenerate itself. I am beginning my alkaline diet today and I don’t want to throw my system into shock…..anybody have some (especially breakfast/lunch tips OR any tips when beginning this eating plan? I eat plenty of alkaline forming foods and very little acid forming but I can’t get my PH above 5.5. Why is that? Vern I have the same problem. Would like to know the answer to your question also. Thanks for this great article – I learned a lot! I especially liked the information on alkaline food and cancer. Remember, too much alkaline food can cause constipation!!!! So, do some research and buy some ph tape to test your acid/alkaline balance. It needs to stay in the middle on the chart that comes with the tape. I think that # is 7. Somewhat irritating that you say that it is so natural to develop rosemary and lavender, not so in my greenery enclosure!!! Johan is like many people I speak to. People honestly believe the mainstream science. It stands to reason that if the body is trying to keep a certain level helping it maintain it just makes sense. Why would you spend your time making your body work harder than it needs to for the sake of foods that really don’t taste that good. Call it conspiracy theory of your that narrow minded, but pharma have their fingers in too many pies and want you ill do you’ll need their drugs. Why would they ever want you eating healthy? Wake up, smell the roses, not the manure they are grown in. Alkaline works. I’m ill less often than every coworker that eats acidic, period! Congratz to all of you taking the time to play attention to what you put in your bodies. Cancer is big business and absolutely can be avoided naturally. I’ve personally spoken to people who have lived it. The human body is an amazing thing and can cure itself of just about anything if given the nutritional tools to do it with. Keep up the good fight everyone and keep spreading the health. Bravo, to all whom makes the time for better health is only possible through a functional GI and balanced blood PH. 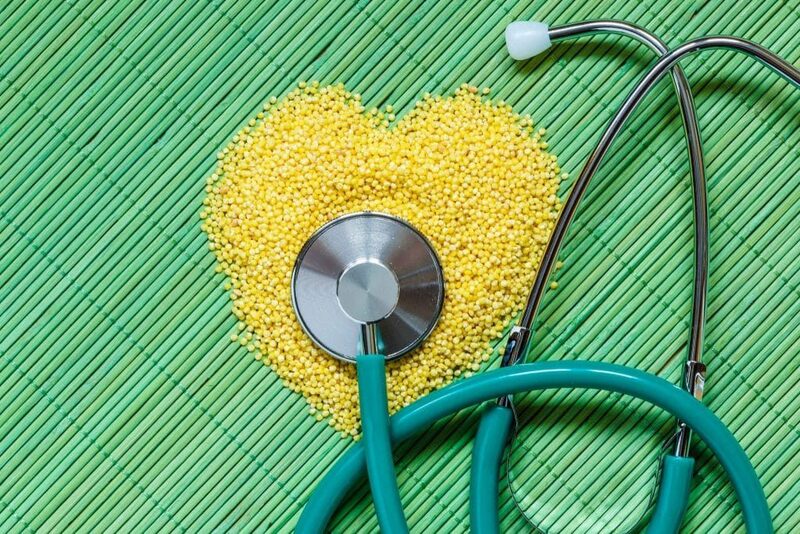 The Diabetes Association mandates acidic fruits & vegetables, enriched carbohydrates & sugars, Omega 6 manifesting vegetable/corn oils and numerous other dietary contradictions within Nursing facilities nationally on a daily basis. The point is our diverse country makes it impossible for the Department of Agriculture to structure a truly functional dietary pyramid that works for all. It is my opinion that each young citizen should recognize the importance of great health before old age and bad health determines their meal choices if they are fortunate enough to have Long Term care. Great health through smart diet is possible! P.S The Dept. 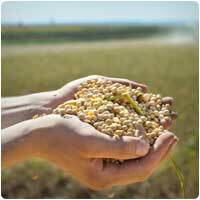 of Agriculture recognises that 7,000,000 gallons of Round Up is dusted upon every crop nationally. This amounts to all commerce availability. Chromate may help this problematic issue. 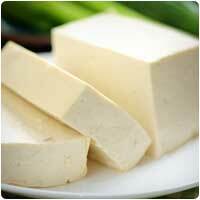 tofu is not consider alkaline due to the fact that it is soy and soy is a hybrid. Hybrid are man made. A bit annoying that you say how easy it is to grow rosemary and lavender, not so in my garden!!! In general, some foods are further down the alkalinizing scale than others and by putting everything in one long list with no mention of this, you might tempt people towards items (like grains) which are not quite as powerful “alkalizers” good as others on your list. What about turkey, tuna and soy milk? Are they very acidic? ..I constantly consume those three. Why is Chlorella powder or pills not ON THIS list??? FYI. I have read where the acid side of the pH scale is good for the outside of the body and the higher side of the pH chart is good for the inside of the body. This ofcourse would be in the liquid form as in water. I know that there are ion water machines that can be purchased that can do this. A lot of interesting stuff here but I do wish people who do make sensible contributions to the debate, would READ what they sending BEFORE pressing the send button. Some of the replies are impossible to make sense of because of silly typos or bad spelling. Use your spellchecker. Can you tell me if decaf tea is acid or alkaline? Also how about sweet & low? Good or bad? sweet and low is horrible and the teas are okay. 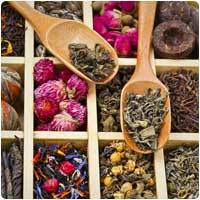 Some of the alkaline teas are green and black teas chai, dandelion, and raspberry. 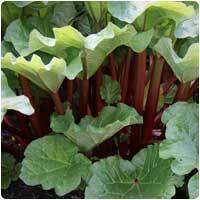 Rhubarb is a vegetable which is used like a fruit. Please do not be inaccurate when supplying information to live by. When you make a wrong statement then the trust of your other information goes down. Lots of good info. Thanks! I incorporate all of these food into my diet on daily basis. Starchy foods break down into sugar in the body. Sugar is converted into acid in the body. What food are before they go into your body is not the concern. It is what they are converted into once they are in the body. Anyone ever heard of Kangen Water by Enagic? “Listen” if you are concerned about alkalinization and fighting cancer. Dr. Otto warburg (1931 Nobel Prize winner) discovered the “Real Cause” of cancer in 1923. He finds, “‘cancerous tissues are acidic where as non-cancerous tissues are alkaline. Just recently, Japan has had a product coming into the United States which took 30 years. Kangen water has an ORP value as low as -600 and descending. Antioxidant value greater than green tea. And also micro-clustering of molecules. There are free trials in a number of states at least. This is all so confusing…my chiropractor has me drinking alkaline water but didn’t mention any of the alkalizing foods. I have gout, high blood pressure, elevated cholesterol, about 30lbs overweight, lower back/sciatica problems and neuropathy in my feet. I’m only 55. My GP has me on medications for the gout, BP and cholesterol. After reading the above article and all the comments, would incorporating more alkalizing foods into my diet really help with my issues? Thanks for the article AND comments! This helps those of us researching, desiring to make better lifestyle changes, to make more informed decisions. Whilst I like your article and I am well read on nutrition I have to tell you that most soybeans out there are GMO. I also have to say that all processed Soy should be avoided.The only safe Soy is NATTO…Fermented soybeans rich in Vitamin K2.Further research is needed by you. 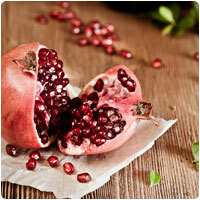 POMEGRANATE : Please be careful with pomegranate if you are on any kind of medication. I have lupus and discovered that I loved pomegranate juice… Drank a lot of it, and pomegranate tea. Then started having a lot of weird medical issues. It took my doc and I two years to sort out that the pomegranate was blocking the effect of several of my essential medications. I hated to stop the pomegranate, but it was absolutely necessary. It is similar to the famous effect of grapefruithe, in that pomegranate has MANY medication interactions. There are good websites that explain and list them. … Sometimes being healthy means avoiding certain “healthy” foods… Darn!! INFLAMMATION: Just a note to contribute info from a 67-yr old who has chronic inflammation since teen years due to auto-immune disease — lupus SLE — (genetic component, but aggravated by other factors)… My doc recommended avoiding some categories of foods because they increase inflammation or pain. Those are: alcohol, aspartame, caffeine, processed sugar, red meat, and yeast. This has been DIFFICULT for me to do. When I have, however, I HAVE experienced much fewer inflammatory symproms and less pain. Perhaps this recommendation can help you who are also dealing with chronic pain and inflammation. Thank you for your site. I find it very informative and well-balanced. I will recommend it to others. I’m pleased that I discovered it online today. I have actually like your advise on alkaline food. I have been advised to eat alkaline foods but did not know what they are. Thanks alot now I know and I have copied alot. May God bless you. Need your guidance via my mail on how to eat in a healthy way to reduce weight. Great article, does anybody have any experience with hair loss from being too acidic, or reduced hair loss on the alkaline diet? i just read the list and find I eat most of these foods daily, I make my own soup and have up to 12 veggies in it, I save bones and boil down for broth, I have a chicken leg/thigh piece most days or a piece of east coast cod fish, I drink lemon/cranberry juice tea daily from home made juice, I am 81 people think I am 60. I don’t wonder why, no pain, no complaints, and now I know why. An alkaline diet is one that helps balance the pH level of the fluids in your body, including your blood and urine – pH is simply a measure of how acidic or alkaline something is. Our blood pH should be maintained at a slightly alkaline level in order to keep us healthy. We help our bodies to maintain this pH balance by eating more alkaline-forming foods and fewer acid-forming foods. A very good article. I also often write about this and this is what these guys http://coolessay.net are helping me with. The text is always original and complete. Be healthy and beauty! Just got serious about alkalizing. Starting pH of silva and urine are 5.5. How long does it take to see results with a disciple alkaline diet?